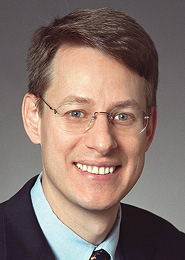 Michael Schmidtberger is a global co-leader of the Investment Funds, Advisers, and Derivatives group, managing partner of Sidley’s New York office and a member of the firm’s Management Committee. He has been ranked in Band 1 in Chambers USA for Investment Funds: Hedge Funds since the establishment of that ranking category in 2008. In March 2013, he received the John Jay Award, presented annually to members of the Columbia College family, for distinguished professional achievement. Sidley Austin LLP (sidley.com) has offices in 20 cities worldwide, with the most recent addition in Munich. Sidley is a full-service law firm, with broad capabilities in transactional, litigation, and regulatory matters. The firm traces its origins to 1866 in Chicago, and in New York to 1914. The firm is widely recognized for the success of its 2001 merger, when Chicago-based Sidley & Austin and the New York-based Brown & Wood combined. Will you talk about the history and heritage of Sidley and the secret to its success? From the very beginning, the firm has been centered around recruiting and retaining the very best talent, nurturing it, developing it, and stretching it to give its lawyers a lifelong opportunity to grow with their clients. More broadly, our New York office continues to evolve since the merger. We are 425 lawyers, the 10th largest law office in New York City. Many of our key practices are represented in the New York office as we have diversified. Where Brown & Wood had been largely focused on the financial services sector, we have maintained those strong relationships but added other capabilities, including a 100-lawyer strong litigation group, with expertise in securities enforcement, white collar, securities class actions, and commercial litigation. The second ingredient is our client service. The importance of long-term relationships is at the core of the firm’s culture. Sidley has never been “transactional” with clients but sees itself as a trusted adviser day in and day out – we have clients that have been with us for 100 years or more. Our broad service model includes not just handling the bet-the-company litigation or key transactions for clients, but also being there for clients when they have day-to-day opportunities and troubles that they want to resolve. Of course, we have terrific >bet-the-company practices, which I refer to as our “tower” practices. These include trial and appellate litigation, M&A and private equity, capital markets, life sciences, investment funds, insurance, bankruptcy and restructuring, global finance, tax, and real estate. Sidley offers a broad range of expertise. Is there a sweet spot for the firm? Our dealmakers are renowned for their business acumen and sophisticated industry experience. They bring to their clients the tested knowledge of best practices and a perspective honed from years of counseling and working side-by-side with clients. Nothing is more rewarding than being able to provide strategic counseling to clients, but regulatory capability is something that stretches across our practice areas and, particularly, in relation to our “tower” practices. Across the span, Sidley has for a long time invested in regulatory capability, so that is a distinguishing feature. For example, in the securities, life sciences, telecommunications, transportation, food and drug, banking, investment management, energy, and environmental arenas, we have former GCs of government agencies and departments whom we have recruited and embedded into our practices to ensure that we are always on the cutting edge. Today, approximately 15 percent of our 700 partners identify their primary focus as regulatory. Of course, being available 24/7 is key when clients have to make a choice or decision and they want to know where things are likely to go. However, our professionals are trusted advisers, not just because they have a client service mentality but they also have current expertise and experience. It is certainly difficult to anticipate how a government agency is going to interpret a given situation, but our lawyers are better informed since they have walked in those same regulatory shoes in their previous lives and still practice in that same space every day. Are the law schools still attracting the top talent? The very best law schools, where Sidley does its recruiting, continue to attract the best candidates and that persists even though the number of applicants to law school is down overall. Law schools outside the top tier, nationally or in their regional markets, have to work harder to maintain the same quality of student body because fewer people are applying. While we are fortunate to recruit from the best schools, we are not complacent. The legal industry is very broad and there are many different types of opportunities available to talented students, young lawyers, senior associates, and partners. We work hard to recruit, and hopefully retain, diverse talent and are proud of our progress in that regard, although there is more to achieve. We recently received the Joan Guggenheimer Diversity Champion Award from JP Morgan Chase in 2016. In 2014, we received the Leadership and Excellence in Inclusion and Diversity Award from Morgan Stanley and, in 2015, we received the 2015 Diversity Award from MetLife. These were valued recognitions of our efforts to promote diversity in the legal industry. In selecting a firm, students today are far more informed than they have ever been and it is also the case along the career continuum. In order to retain talent, we have to offer our lawyers the opportunity to grow substantively and personally. Our firm is a place where there is an entrepreneurial spirit. Because we are broad, there is an opportunity for lawyers to pursue an area of practice that may be novel or emerging – an area of growth away from a traditional practice – to be supported and develop something entirely new. We see this evolution in our 40 practice areas: these are not the same 40 areas that we had when I started. For example, the investment management practice at the legacy Sidley firm started in the late 1980s, and I arrived in 1990 to be one of the first lawyers to specialize in private funds. I was interested in the area and changed firms as an associate to be a part of this opportunity. We grew that practice very substantially over a 10-year period to approximately 40 lawyers. When the merger with Brown & Wood occurred, we added about the same number and then grew it by one-third again over the past 15 years. Today, we have 125 attorneys practicing across the entire spectrum of asset management, including mutual funds, hedge funds and private equity funds, real estate funds, and REITs, as well as a large investment adviser regulatory and enforcement practice.